How much does it cost to travel to Asuncion? How much money will you need in Asuncion? Gs288,815 ($46) is the average daily price for traveling in Asuncion. The average price of food for one day is Gs34,988 ($5.60). The average price of a hotel for a couple is Gs154,989 ($25). Additional pricing is in the table below. These average travel prices have been collected from other travelers to help you plan your own travel budget. How much money do I need for Asuncion? Asuncion is a vastly underrated city. 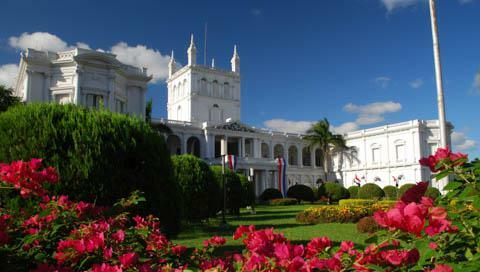 It is the capital but also the administrative economic and cultural center of Paraguay. It is located in the south central part of the country, near the border with Argentina and it is one of the oldest cities in South America, with people living here since almost 500 years. The city has a beautiful and simple center, with a few unique colonial and beaux arts buildings, international cuisine, shady plazas and friendly people. Its handful of historic buildings around the Plaza de los Heroes, Plaza Uruguaya and Manzana de la Ribera, two or three small museums, old bars and cafes, but also smart suburbs, ritzy shopping malls and fashionable nightclubs will keep you entertained for a day or two. It is a very charming city for travellers and apart from the sights, the city boasts a good tourist infrastructure with hotels and restaurants. One of the oldest settlements in South America, this sprawling metropolis is home to some striking architecture, fascinating museums, colonial gems and a recently upgraded coastal boardwalk. One of the most impressive new buildings in the city is the National Congress and its mirrored facade. It was built in 2002 with $20 million from the Republic of China government, as Paraguay is one of the few countries and also the only country in South America that recognizes the Republic of China (Taiwan) as opposed to mainland China (People's Republic of China). Ask for a tour in English or Spanish and visit the small museum the monument. Then head to La Catedral de Nuestra Senora de Asuncion and watch the locals from the broad and picturesque plaza with fountains across the national cathedral. Visiting the Cabildo is also a must during your trip to Asuncion. This is the city's cultural center found in the old colonial legislative building near the bay area. If you want to see the House of the Paraguayan government, El Palacio de Lopez, head there at night as it is very beautifully lit. Blindingly white and heavily influenced by neoclassical and palladian styles, the presidential palace is perhaps Asuncion's most iconic building. Another highlight of Asuncion is the Panteon de los Heroes, which houses the tomb of the unknown soldier along with other "heroes" from Paraguay's disastrous wars, as well as plaques for the heroes of the Chaco war. Guarded by two solemn sentinels, look out for the ceremonial changing of the guard, which occurs every other day. Finally La Casa de la Independencia is a landmark of the Paraguayan Independence. This is where national heroes gathered to plot against Spanish colonists in 1811. They marched from here to the Cathedral on Independence Day. The Municipal Museum is rather small but has interesting information about the old tram line from the 1880s and other civic history. Nearby is the Visual Arts Museum with temporary exhibits from national artists. One of the best museums found in Asuncion is perhaps the Museo Guido Boggiani, an archaeological and ethnographic collection 10 miles outside the city. The Museo del Barro is also a must-visit spot on the outskirts of the city. Packed with historic art, including wood carvings, ceramics, masks and religious sculptures, the exhibitions trace more than 400 years of indigenous culture and colonial invasion. Head to the upbeat, colourful neighbourhood of Loma San Jeronimo for a glimpse of authentic Paraguay. It's a little tricky to find but the locals, always found with their cold-brewed yerba mate in hand, are especially welcoming here, even more so if you can show off some Spanish. The Mercado Cuatro is the most bustling market in the capital. It's about a 30-minute walk away from the centre and has street food stalls mingle with stands selling indigenous crafts, pets and Chinese electronics. Wander alongside the Río Paraguay, on La Costanera, a broad promenade frequented by strolling locals. Redeveloped in 2013, it is now one of the most pleasant spots in the city to spend an afternoon or to catch the setting sun. You can even rent a bike or rollerblades from one of the many riverside vendors. Finally, football is one of Paraguay's most passionate pastimes, s head to the Estadio Defensores del Chaco to catch a game between Olimpia and Cerro Porteno, the city's greatest rivals. At lunch time there is no shortage of cheap restaurants to dine in or take away. Don Vito is the most famous Paraguayan fast food, which sells Paraguayan empanada for over 30 years. The original spot is just behind the Iglesia de san Jose. Otherwise, the places where you help yourself and pay by weight are usually very cheap and a decent option besides the slightly more expensive restaurants with their daily menu. At dinner time only very few eating places are still open and finding a good deal might be a little harder. Most shopping malls have decent food courts with a variety of restaurants, however, they are located away from the centre. Bigger supermarkets often have a cheap self-service restaurant inside as well. Unlike in most of the rest of Paraguay, tap water in Asuncion is potable. Try one of Paraguay's specialty, a streetside "lomito", a sandwich, with beef or chicken, mayo, veggies, cheese and a fried egg. Asuncion is easily reachable by plane. From Central America, Copa Airlines flies to Asuncion from Panama City and from Europe, Air Europa has a direct flight from Madrid to Asuncion. From South America, there are flights from São Paulo, Lima, Santiago de Chile, Santa Cruz de la Sierra, Montevideo and Buenos Aires through carriers like AVIANCA, TAM, LAN, GOL Airlines, Amaszonas, Alas Uruguay and Aerolineas Argentinas. Taxis are available at the airport. A taxi to the city centre is about USD$25 USD. If you walk a block outside the airport, you will find a small bus stop. Two city buses are running until 10pm, one takes you into the city on the main road Mariscal Lopez and the other down Espana. Buses cost USD$0.50. There are no trains in Paraguay, apart from a tourist train to Areguá which departs on Sunday from Jardín Botánico station. The building near Plaza Uruguaya once used as the main train station is now a museum and cultural events venue. Driving a car yourself is not recommended since many streets are in disrepair and apart from the main roads many are unpaved. The traffic in the city can be quite chaotic for unaccustomed drivers. However, it gets much better once outside of the city. The car rental companies can also provide drivers. The bus terminal is about about 5 km from the centre, so it is advisable to take a taxi or the bus 38. Some bus companies have offices around Plaza Uruguaya in the centre, but most are now inside the Terminal. There are normally two types of services to the bigger cities: común and rápido. While the first are cheaper, they also stop in every small town or community along the way and hence take longer then the rápidos which run direct or with a few stops only. Rapidos are also less frequent. Buses to São Paulo (21h), Rio de Janeiro (27h), Brasília (21h), Montevideo (26h), Buenos Aires (17h), Encarnacion (7h), Ciudad del Este (6h), Concepcion (6h), Santa Cruz (24h) and Salta (12h) are available. Be aware that some buses going to Bolivia do not have toilets or air conditioning on board and make sure to always bring lots of extra water and food with you. To and from Argentina it is possible to take a local bus to the border, labelled "Falcon" and cross the border on foot, as you may be a lot faster than on a long distance bus since there are separate windows to stamp the passport. Then you will need to take another local bus to Clorinda, or walk 2km.